YouTube started as an online library of user made videos and today it has become one of the largest source of free and legal music. With high speed internet connections getting affordable, YouTube has started to become one of the major sources of free music for everyone. I have covered several useful tips and tricks for making the most out of YouTube and once again i am going to introduce you to another useful feature of YouTube. Most of you might be using YouTube to listen to your favorite artist’s music and many of you who regularly listen to your favorite music on YouTube, might even have created your own playlist. But if you are new to YouTube or you haven’t yet created your first playlist on YouTube yet. 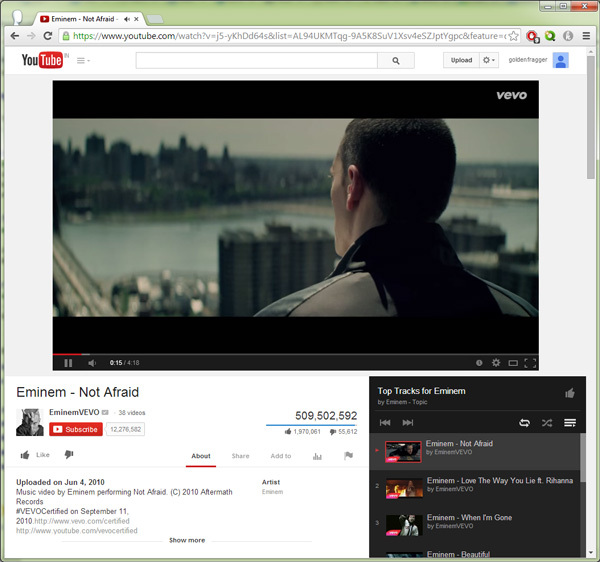 You can make use of one of YouTube’s free feature to automatically generate a playlist based on your favorite artist. Not many people know about this incredibly useful feature of YouTube. Now that you know about this feature, let me show you how you can put it into use. 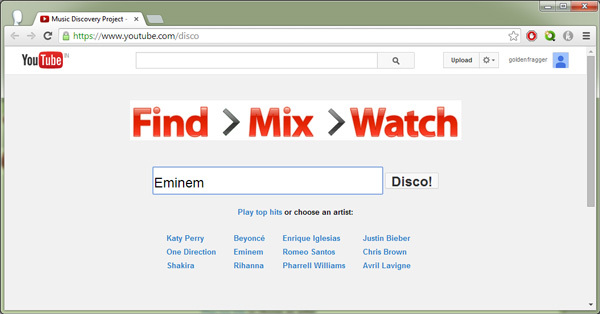 Step 2: Type in any of your favorite artist’s name in the search bar and press enter. There you go, now YouTube will automatically create a playlist with the top 15 popular music videos of your favorite artists. The video will start playing automatically and if you want you can also shuffle them. Additionally this feature can also be very useful for discovering music about a artist that you’ve recently come to know about.